Optical Illusion. Stare at the Dot. Then 移動する back and forth! 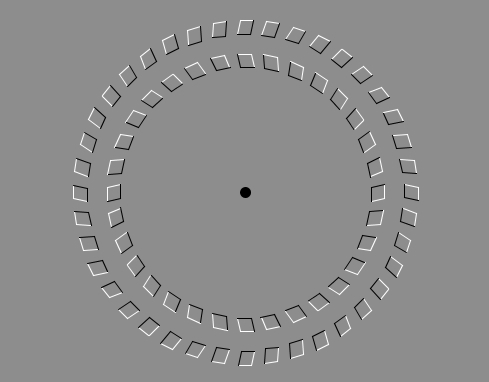 (You should see the rings spinning in opposite directions). Wallpaper and background images in the Puzzles and Brain Teasers club tagged: illusion optical illusions brainteasers puzzles.